Getting into the spirit of kicking things off early (for example, I note American preparations for “the holidays” begin the day after Thanksgiving), I’m posting this the day before “Saint Patty’s Day”. Don’t blame me: sure, I’m just following the illustrious example of the New York City St. P Day Parade Committee to hold the parade on the day before the day itself. But before we get ahead of ourselves too much, who is this Saint Patty? I could have sworn it was Paddy’s Day, or Patrick’s Day, or Lá Pádraig, if you prefer. It wasn’t until I moved to New York in 2010 that I discovered that Paddy has a doppelgänger. Perhaps in the spirit of all-women performances of Waiting for Godot, or the strange insistence on pronouncing said “Godot” “Ge-dough” instead of “God-Oh”, a mysterious emanation has arisen to replace Paddy. Her name? Saint Patty, short for Patricia. 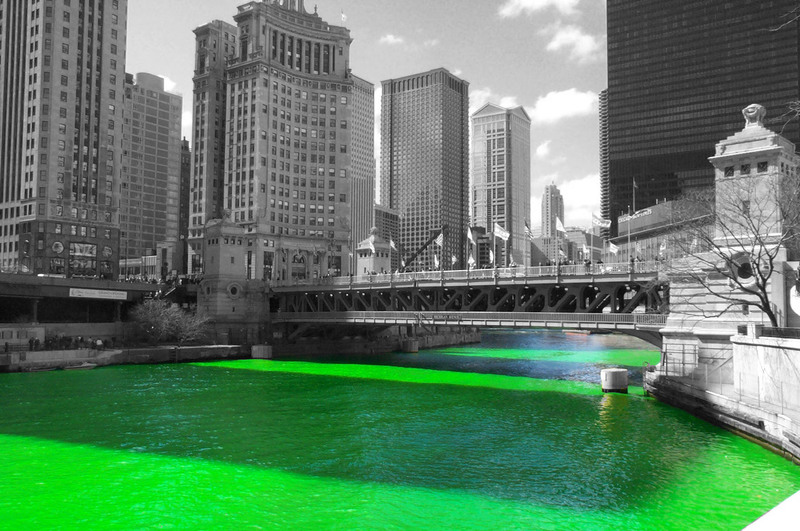 Oh, she is vast, she is green, she is festooned with green beer, the green rivers of Chicago, and green water cress masquerading as shamrocks. I wondered if the Saint Patty thing was purely vernacular, or “word on the street”, but no: Time Out New York , for example, gives its readers a primer to avoid the “shamrock-adorned bros and douchiness that comes with St. Patty’s Day”. If you need guidance regarding how to, and why to, pronounce it correctly, while avoiding the douchiness (for there, indeed, you will find Saint Patty) here is Gawker’s take on the issue of the vital double DDs. And, for a bit of craic, have a look at a website that is entirely devoted to the war against the dreaded Saint Patty. Ladies and Germs, I give you: Paddy,Not Patty! THIS! As an Irish person, this really annoys me. What really rankles me is every single Paddy’s day in Dublin, you’ll get at least one American tourist telling you to stop being offensive/telling you you’re spelling it wrong! Also, just FYI Americans, Irish people do not hold a tradition of pinching people if they don’t wear green. You will get in trouble if you pinch someone who does not want it! On the last point, I remember sitting on my favourite stool in the Eighth Street Taproom in Lawrence, Kansas, over on the left, where they prepare their delicious ginger smashes (with that zing of freshly-grated ginger: amazing!) when some douches walked in and asked for “3 Irish Car Bombs”. My pal, mixologist extraordinaire Mr. Jeremy Sidener, pointed to the sign behind the bar that read “Car Bombs Kill”, and shook his head. For the nonplussed douches, this was the first time in their lives that they even had a slight inkling that the dreaded beverage might have a connection with something real from Irish history. They departed the premises.